Wakehurst Place in West Sussex, is affiliated to and managed by The Royal Botanic Gardens at Kew. 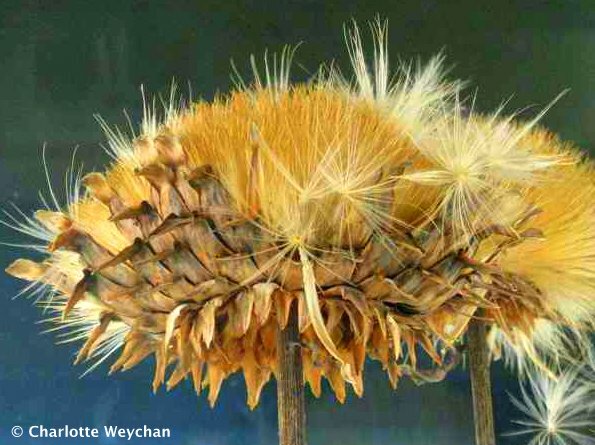 It also houses the Millenium Seed Bank, an ambitious project set up to store the seeds of every plant in Britain as well as a further 24,000 species from around the world. It's certainly a garden for all seasons and has a remarkable collection of trees, spread over more than 450 acres, so is well-known for its autumn colour, but there is also a fine winter garden, which bursts into colour in November. The Tudor mansion (above) was built in 1590 for Sir Edward Culpeper, and provides a good backdrop to the adjacent Sir Henry Price walled garden (top), which is well stocked with colourful perennials throughout the spring and summer months. 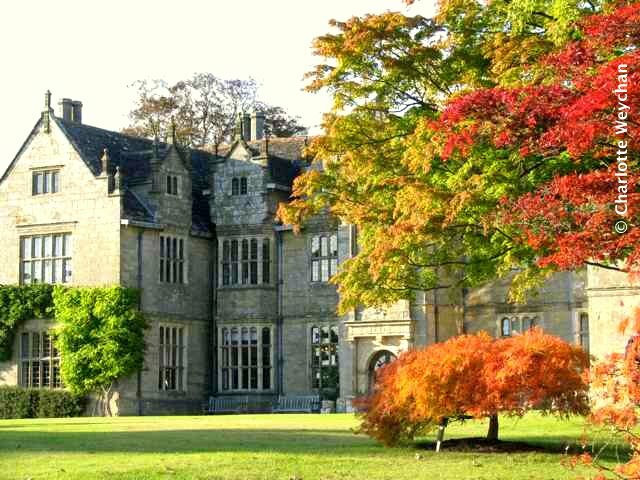 Sir Henry bought Wakehurst in 1936 and lived there with his wife during WWII, and together they restored both the mansion and the gardens. 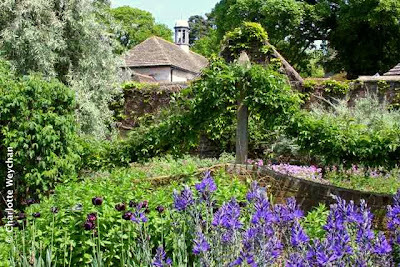 The garden bearing his name has a distinct "cottage garden" feel to it and is famous for its mauve, pink and blue flower collections (below). 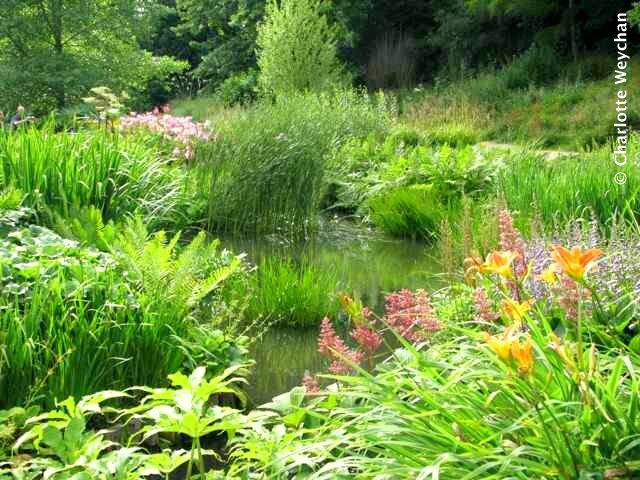 The Water Gardens (below) are filled with moisture-loving and woodland-flowering plants, which bloom during the summer months and the Iris Dell, with its famous display of Japanese irises is unmissable during the summer months. There are also fine collections of hardy plants, arranged georgraphically, and Wakehurst is home to four National plant collections - birches, hypericums, nothofagus and skimmias. One of the most attractive features of the gardens here is the feeling of space - you can walk for miles without running into crowds, and because of its site, on the High Weald of Sussex, there are many different routes through the gardens and adjoining valleys and you may well wonder just which country you are in as you walk through the different topographical areas, including the Himalayan Glade. It's easy to spend an entire day here! Wakehurst is home to the Millenium Seed Bank - a project committed to the storing of seeds for future generations - there are already more than 24,000 seeds here - some 10% of the world's plants and the aim is to have 25% stored by 2020. The seeds are frozen and then placed in underground vaults. There is a permanent exhibition (above) in the futuristic Seedbank building which explains how the project works and you catch glimpses of white-coated scientists at work, which all adds to project's mystique. 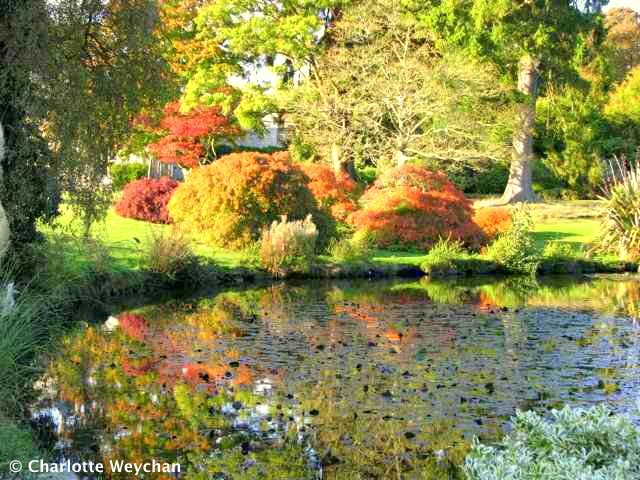 You can buy an annual membership at Wakehurst Place, which also covers you for Kew - well worth doing if you plan to visit often, particularly as both gardens have much on offer in the winter months! 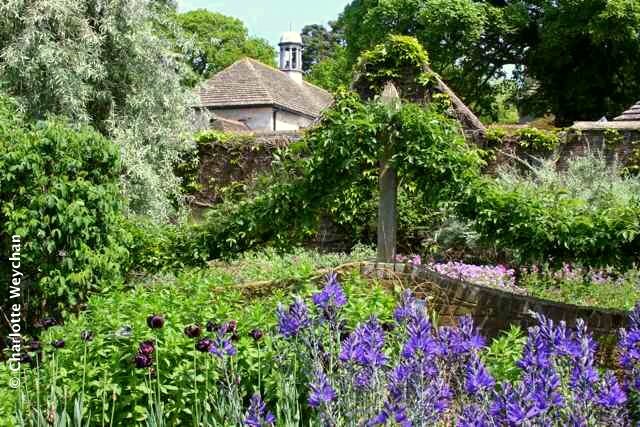 If some words are familiar here, it is because I've taken them from an earlier post on Wakehurst Place. 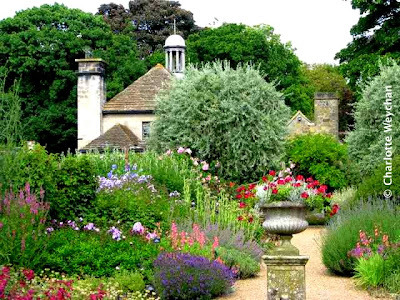 This is just one garden from my "All Season" series, which has already featured Sheffield Park and Waterperry Gardens. What a beautiful place! If I'm ever able to cross the ocean, this will be one of the places on my list to visit - but meanwhile it's wonderful to take this virtual tour. Beautiful photos and place. 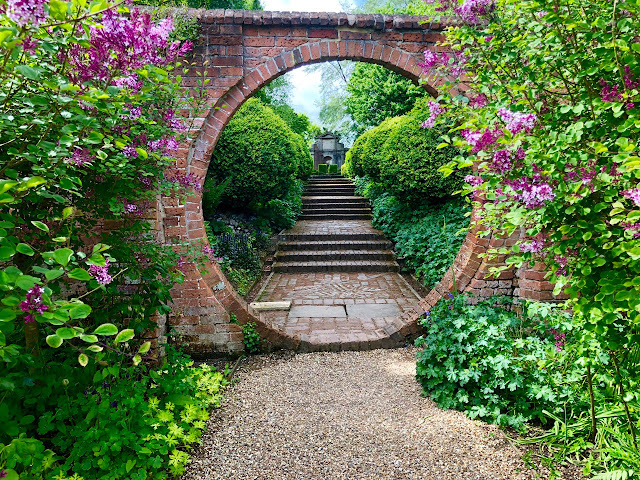 Stunning grounds. 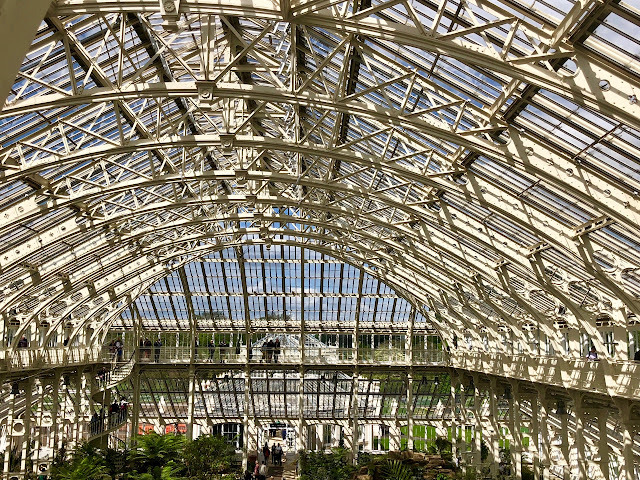 Stunning photographs and a wonderful walk through this magnificent place. I am very interested in visiting next time I make it over to England.